Have you ever wondered why there is such a big fuss about recycling end of life vehicles (EVLs)? When you think about it, cars have been made from metals for years, and we all know that metal recycling has been commonplace for decades. Car recycling is nothing new, so what’s all the fuss about? Why are we suddenly seeing new laws about scrapping cars and rules about dismantling them? It used to be that you could just get a car collected by the local scrap dealer and that was the end of it. The financial and environmental cost of creating and transporting new materials. The environmental impact of landfill sites. “since 2002/3, material ending up in landfill has reduced by 36 million tonnes per annum and councils and businesses have been able to avoid around £1 billion in landfill tax”. They have also been linked to a wide range of illnesses, especially breathing-related problems. We’re not going to go into the problems caused by land fill sites in any detail here, but it will help if you know the key issues – they require land, can pollute the soil and water supply, and can release potentially explosive gases which are “25 times more potent than carbon dioxide”. To tackle the problem of landfill sites, the EU introduced Landfill Directives in 1999. These introduced strict new rules on the use and operation of landfill sites and forced EU countries to reduce the amount of waste they put in landfills. The laws were very effective and caused many “sub-standard landfill sites to be closed across Europe” . A consequence of the new land fill laws were that EU countries had to change the way they recycled cars. Up to that point. 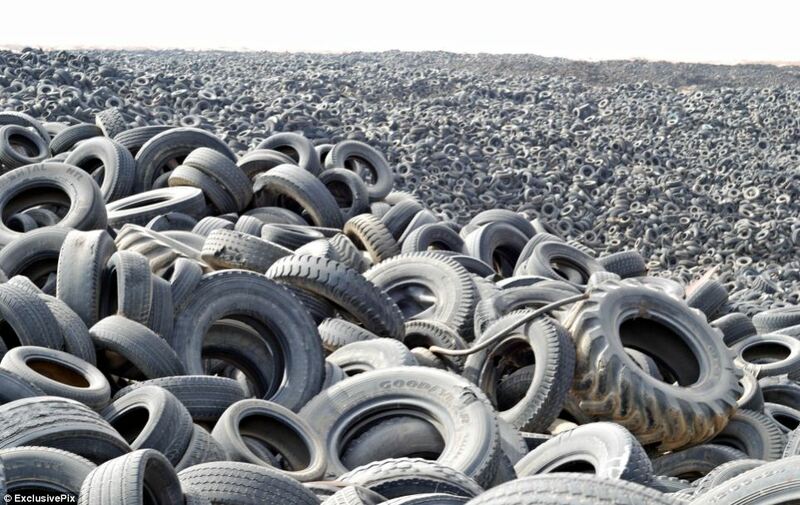 Around 75% of a car’s materials were recycled, with approximately 20-25% ending up in landfill sites. To lessen the burden on landfill sites and comply with the EU Waste Management policy, the amount of materials recycled from ELVs had to improve. To tackle the environmental problem posed by ELVs, the European Commission introduced the End of Life Vehicles Regulations directive in 2003. This was followed by later amendments in 2005 and 2010. The Department for Business Innovation and Skills have produced a document on the regulations, which you can access HERE. But be warned, it is not light reading! It only applies to selling ELV cars and vans, but the dismantling and treatment parts apply to all vehicles apart from vintage vehicles, ships, trains, and aircraft. Car manufacturers are required to use more recycled parts and consider the ease of recycling in their designs. This also applies to parts manufacturers. You should dispose of your ELV at an Authorised Treatment Facility (ATF). A list of registered ATFs is maintained by an authorised body (Environment Agency or local equivalent). Authorised Treatment Facilities must follow hazardous waste regulations and process ELVs appropriately. This involves depolluting, dismantling, and preparing the vehicle for transport to a shredder. Authorities must monitor the ATFs to check that they are complying with the regulations. Action is taken against illegal operators or those who put the environment at risk. Authorities keep an accurate list of registered ATFs. If a vehicle is scrapped, only an ATF can issue a Certificate of Destruction (CoD). The intention of the regulations is to reduce the impact of ELVs, and the manufacture of new cars, on the environment. The initial target for 2006 was for 80% (reuse and recycling*) and 85% (reuse and recovery*). For 2015, the targets are 85% (reuse and recycling) and 95% (reuse and recovery) in 2015. *Reuse means to use again without altering, recycling means to process the waste materials and turn them into materials that can be used again, and reuse means to use the waste as energy for power and heat. With some ATFs, what happens to your car is out of your hands – the ATF will decide whether the car is scrapped or repaired and put back on the road. You will only get a Certificate of Destruction if the ATF scrap the vehicle. But if you sell your ELV to Remove My Car, you have the power to choose what happens to your vehicle. You can sell it to us and let the ATF decide (which is the best option if you want the highest price for your car), or you can insist that the car is scrapped (you may get a lower offer in this case). The ATF remove any salvageable parts. The ELV is depolluted – potentially hazardous materials such as oils, lubricants, tyres, airbags and batteries are removed from the car. A detailed breakdown of the depollution process is available on the DEFRA web site HERE. The remaining parts of the car are crushed and prepared for transportation to a shredding site. At the shredder, ferrous metals such as steel and iron are separated from non-ferrous metals such as aluminium. The remaining materials are called Automobile Shredder Residue (ASR). In the past, ASR was sent to landfill sites, but new technology and recycling methods are allowing operators to recycle some of the ASR. Whether this actually happens to your ELV is down to the shredder site being used and the technology they have in place. The ferrous metals and non-ferrous metals are recycled and then sold on to industry. Will the UK Meet the ELV Recycling Targets? According to the latest statistics featured on www.car-recycling.org.uk, the UK is trailing many of its European neighbours when it comes to car recycling. But the news isn’t as bad as you might think. The latest data for the UK shows that we achieved an average of 83.4% (recycling and reuse) and 85.6% (recovery and reuse), so we are at least heading in the right direction for the 2015 targets. Most of our European neighbours are recycling at around the same level, with the exception of Germany, Sweden and Norway who have broken the 90% recovery and reuse barrier. Although, as www.car-recycling.org point out, the German car recycling amount is over 100% - even the Germans can’t be that efficient, can they?!! The important thing is that most EU countries are making positive changes to reduce the impact of waste cars on the environment. There is always room for improvement (except in Germany’s case! ), but as a whole, we should be pleased with the progress that has been made. As technology advances, and becomes less expensive, all European Union members should be able to improve their car recycling efforts further.